Great Way to Send Love! From Janell of Lakeville, Minnesota on 10/30/2018 . I have two nieces who went away to school in two different states. They absolutely love getting a surprise package each month filled with this amazing chocolate! They text me a picture with a huge thank you. It's been a fun way to let them know I'm thinking of them! All shipments have gone very smoothly, zero complications! You don't have to be worried about anything! From Janell H of Lakeville, Minnesota on 10/1/2018 . I ordered the Campus Candy for my two nieces who are away at college. They LOVE getting these each month! I always get an excited text from them when it arrives. Everything ships on schedule and I get shipping notifications each month. It's been great and I would highly recommend! 8/27/2018 – how much choc. gets sent each month? 1 container? 2?3? i know its 1 time a month but in that 1 delivery, how many containers? . . . 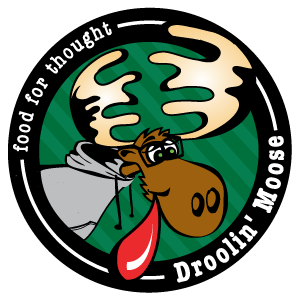 Response From Droolin' Moose: Each month one container of chocolate will be sent to the address you provide. 8/22/2018 – How does the student know who is sending the package? Response From Droolin' Moose: There will be a card that goes with each package. The card that goes with the first package will have the note that is filled out in the message box while placing your order. Each month to follow we will put a different fun note in the package along with the name of the person who placed the order. 8/7/2018 – How many containers of chocolate do you get with each mailing? 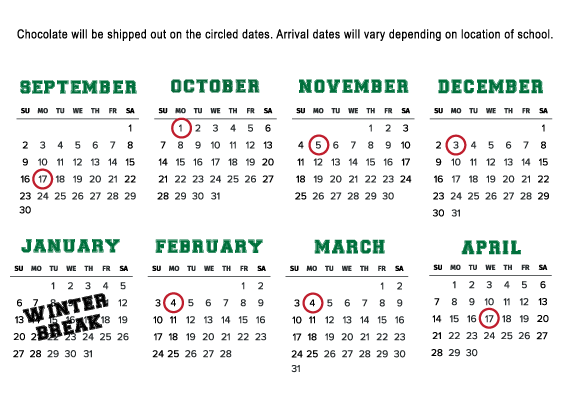 Response From Droolin' Moose: Each month (September - April) with the exception of January, because of winter break. One container of chocolate will be sent from the package that is ordered.